Adam McKay’s The Big Short is good. Step Brothers is great. His greatest achievement remains Step Brothers. 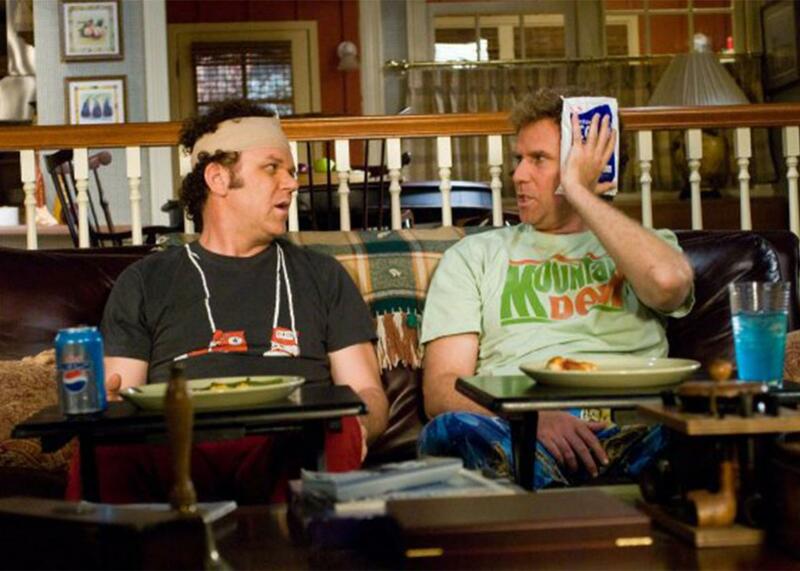 John C. Reilly and Will Ferrell in Step Brothers, one of the greatest American film comedies of the 21st century. Last month Adam McKay received a Best Director nomination for his financial-meltdown comedy The Big Short, an unexpected turn in a career best known for farcical blockbusters like Anchorman and Talladega Nights. McKay’s nomination is totally deserved: The Big Short is a hugely inventive and intelligent piece of filmmaking, a movie that howls with laughter and indignation simultaneously. It was one of the best movies of the year, and yet it is only McKay’s second-best film. In 2008 McKay directed the Will Ferrell and John C. Reilly vehicle Step Brothers, a movie I’ve increasingly come to believe is one of the greatest American film comedies of the 21st century. Step Brothers is, on its surface, a film about family: Ferrell and Reilly play Brennan Huff and Dale Doback, intellectually and emotionally stunted man-children who have made it into their 40s living off the largesse of their hardworking and well-to-do doctor parents, both of whom are single. Said parents meet at a conference and get married after a whirlwind courtship, meaning the two adult sons will now be forced to cohabitate. All of this happens before the film’s opening title card. If one were to broadly map the plot of Step Brothers it would go something like this: Brennan and Dale are horrible to each other; Brennan and Dale are nice to each other and are horrible to everyone else; Brennan and Dale become horrible to each other again; Brennan and Dale are nice to each other again. No one really learns anything. Step Brothers is thus a movie made for repeated viewings and may in fact require them, because it doesn’t really adhere to the protocol of conventional narrative: The movie takes a studied indifference to niceties of story arc and character development. In fact, if anything Step Brothers is openly hostile to the idea of characters developing: Maturation is one of its central targets of satire. It is an anti-bildungsroman, a stagnation narrative. Once you know not to watch the film for what’s going to happen you’re free to enjoy it on its own terms, as a beautiful and searing journey to nowhere. The supporting performances in the film are universally fantastic, from Richard Jenkins and Mary Steenburgen as the put-upon parents to incredible turns by Adam Scott as Brennan’s awful brother Derek and Kathryn Hahn as his neglected wife. But the film is Ferrell and Reilly’s show, the actors throwing themselves into their roles with heroic abandon. Both performances rely on subtle, sublime physical weirdness—everything is herky-jerky and just slightly off, a mood crystalized in the movie’s poster. Early in the film there is a scene at the dinner table where Brennan and Dale are exchanging insults over chicken nuggets. “That’s so funny the last time I heard that I laughed so hard I fell off my dinosaur,” retorts Dale at one point, which prompts Brennan to start crying, just a little, his tears simultaneously real and self-serving, the little kid who’s lost the battle but is now out to win the war by appealing to parental sympathy. It’s a hilarious and unexpectedly moving moment that anyone who grew up with siblings will recognize. Step Brothers is such a loose and freewheeling movie that it’s easy to overlook McKay’s filmmaking, but it’s flawless. Step Brothers isn’t much for conventional aesthetic beauty, but that feels like a deliberate choice, sending up the dull visual indifference of your average family comedy. In a recent episode of Elvis Mitchell’s podcast The Treatment, McKay noted the unusual amount of camera movement in the film, the work of cinematographer Oliver Wood, best known for shooting the Bourne trilogy. The film’s abundance of mobile, hand-held shots adds to its antic jitteriness while allowing Wood and McKay to make fantastic use of spaces, particularly the increasing claustrophobia of the Doback-Huff household. The film’s script—so much as it sticks to one—was penned by McKay and Ferrell, but so much humor is conveyed wordlessly, through body movement, facial expressions, even costumes. Brennan and Dale wear tuxedoes and sneakers to job interviews; Scott’s character’s terribleness is rendered metonymically through his attachment to a Bluetooth earpiece. The various T-shirts that characters wear throughout the film practically deserve their own movie; I’m partial to a faded Return of the Jedi shirt that Reilly’s character wears, tucked into his jeans, that dates back not to the film’s 1983 release but rather its 1997 VHS special edition rerelease. It’s a perfectly stupid piece of clothing. Trying to understand comedy—who or what makes us laugh, and why—is incredibly difficult, which is probably one reason the Oscars tend to snub comedic films. Great comedies subvert expectation and convention rather than affirming them; they are new and unfamiliar, by necessity. Ebert was one of my favorite critics and thinkers, and over my years of loving this film I’ve thought a lot about his response to it and what about the film’s humor I “get” that he didn’t. I don’t think he was wrong about the meanness, but I also think he missed the point, and to illustrate that I’ll end with a joke, of sorts. When I was in middle school in the early 1990s I remember sitting through some weird school assembly meant to teach kids to be nicer to one another; in other words, to teach middle-schoolers not to be middle-schoolers. The main speaker was a well-meaning man who wanted to impress upon us that we could be funny without making fun of someone, that you can be funny without inflicting pain. For his example of someone who successfully did this, he spoke at length about a beloved comedian whom everyone in the auditorium was sure to know: He spoke about Bill Cosby. It’s a grim punch line. After all, no matter how funny you once found the genial banality of going to the dentist, knowing what we know now there’s a disconcerting irony about the thought of celebrating the comedic harmlessness of a person whose actions in life were anything but. But I think that speaker was wrong even then: Great comedy does have to be mean; it just needs to be mean to things that deserve it. Sometimes that thing is the thieves and scoundrels of The Big Short; other times that thing is us. Step Brothers suggests that maybe the traditional stories we tell ourselves of love and growth and nurture and maturity aren’t really what families and lives are about, that maybe the real stories are of obstinacy and grudges and fear of change and inarticulate rage and pain. That might be mean, but it’s also really funny.